If there is a time where you need a driver, whether it be because someone has let you down or your volumes have gone through the roof, Forde Advanced Driver Solutions is here for you. 24 hours a day, 7 days a week, 52 weeks of the year. We understand the increasing issues clients have finding suitable and available drivers. Quality drivers are becoming harder and harder to find and as older drivers are retiring, the problem is getting worse as younger drivers are simply not entering the sector in numbers large enough to ease the problem. We anticipate as a result of drivers having to have completed all five CPC modules by September 2014 to continue working, even more drivers will leave the industry. At Forde ADS we do not have a magic solution to this problem but we do understand to succeed at what we do we must continue to treat all our driving team with respect, provide regular work with blue chip firms and pay them accurately and on time all the time!, thereby retaining their services. We are proud of our unrivalled reputation in driver satisfaction which is borne out by the number of drivers who have been on our books for many many years! All recruitment agencies are fishing from the same pool of drivers! So, what makes Forde ADS different…………well, by doing what we say above, we retain and slowly increase our driver pool week on week. However, the most important thing we can do for you our client, is to be HONEST and simply say we cannot help whenever we have no drivers available. We hate not having a driver, especially when it is a new client but if a client is prepared to invest in us and work with us for the long term, we will recruit specifically for them. We will advertise using all our sources, social media, word of mouth and given time we will source drivers for you and go on to provide the level of service you have been looking for but not getting from your usual provider. We pride ourselves on a high level of legal compliance to make our working partnerships with clients as beneficial as possible for both parties. All our driving consultants are fully versed in transport legislation and comply to the letter with whatever specific requirement our clients require. As Corporate Members of the Recruitment and Employment Confederation (REC Drivers) we promote best practice throughout our businesses and conform to its strict codes of conduct and professionalism. We are also ISOQAR Quality assured since 1995 which again demonstrates our commitment to quality. 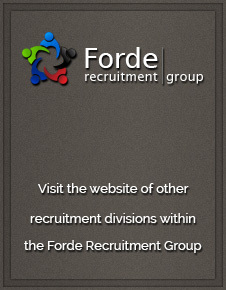 You can stay up to date with all of our Forde Recruitment news as well as keep up to date with the latest in the industries we recruit for.